There is a long list of sequels slated to release in 2018 with Student Of The Year 2 being one of them. To be directed by Punit Malhotra, SOTY 2 is a sequel to Karan Johar’s 2012 college romance drama Student Of The Year, which launched the careers of Alia Bhatt, Varun Dhawan and Sidharth Malhotra. 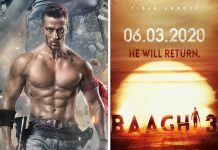 While the sequel stars Tiger Shroff as the male lead, there is also a space for a parallel male lead in the movie. Earlier, names of television actors like Karan Tacker and Bigg Boss 11 fame Priyank Sharma were doing the rounds for the parallel lead, but not it has been confirmed that Tum Bin 2 fame Aditya Seal has been locked for the part. Aditya made his acting debut as a child artist with Manisha Koirala’s controversial movie Ek Choti Si Love Story. Talking about the female lead of the film, reports suggest that Student Of The Year 2 will have two heroines. Grapevine has it that Ananya Pandey, daughter of Bollywood actor Chunky Panday, and Tara Sutaria are being considered for the two principal female characters in the movie. However, as things stand today, no name has been officially announced. Student Of The Year 2 is expected to mount floors soon. It is scheduled to release later this year.